On Thursday May 4, U.S. Secretary of Homeland Security Kirstjen Nielsen announced the impending end of Temporary Protected Status (TPS) for some 57,000 citizens of Honduras now living in the United States. The timing of the statement is highly suspicious. It comes as the Trump administration has been whipping up a nationalistic frenzy over a small group of Central Americans who have traveled from their home countries through Mexico to the San Ysidro border crossing which separates Tijuana and San Diego. They are asking for humanitarian asylum in the United States. Although this group of refugees includes people from other countries, the largest number are Hondurans. TPS has been given in the past to citizens of countries which have been hit by natural or human-made disasters who would not otherwise have a legal basis for staying in this country. Many of the Hondurans affected have been here and protected by TPS since Hurricane Mitch hit their country in 1998. In the intervening time, they have put down roots, married, and started families, which include tens of thousands of U.S. citizen children. Hondurans are now added to a growing list; the government previously announced the ending of TPS status for Salvadorans, Nicaraguans, Haitians, as well as citizens of some other countries. In her statement, Nielsen claimed that conditions in Honduras have improved sufficiently since Mitch for it to be safe for the Hondurans to return. She gave them until January 5, 2020 to either return to Honduras or find some other basis to remain here legally. Otherwise, they risk arrest and deportation. However, Nielsen and her boss, President Trump, willfully ignore the impact on returners’ safety by the other disaster that has hit Honduras—the human-made, political one. 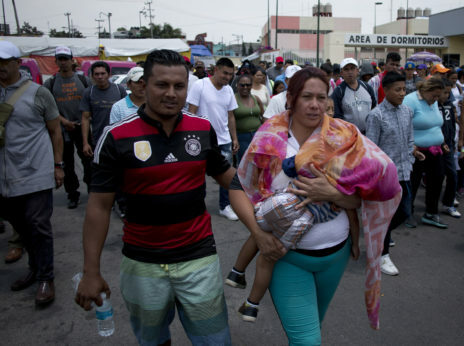 Migrants moving to the United States from Central America’s troubled “Northern Triangle” countries of Guatemala, El Salvador, and Honduras have been set upon continually by criminal gangs, sometimes abetted by corrupt police and officials. Thousands have been killed and often buried in unmarked graves. In many cases, migrants have been kidnapped and held for ransom; others have perished after getting lost in the desert regions along the U.S.-Mexico border. For a number of years, the U.S. has pressured Mexico into cracking down on this migration, which in many cases has had the result of migrants taking even more dangerous routes northward to evade interception. This is why organizations based in Mexico and the U.S. have helped to form the caravans. In the case of the current one, which was organized by Pueblo sin Fronteras, the goal is not to charge across the U.S. border illegally, but to present themselves at the border and request asylum here, a perfectly legal procedure guaranteed by international treaties to which the U.S. is a signatory. Far from consisting of hordes of rapists, drug dealers and criminals as Trump and the anti-immigrant organizations allege, the current group includes many women and children, as well a number of transgender people who face particularly great danger of being murdered in Honduras. 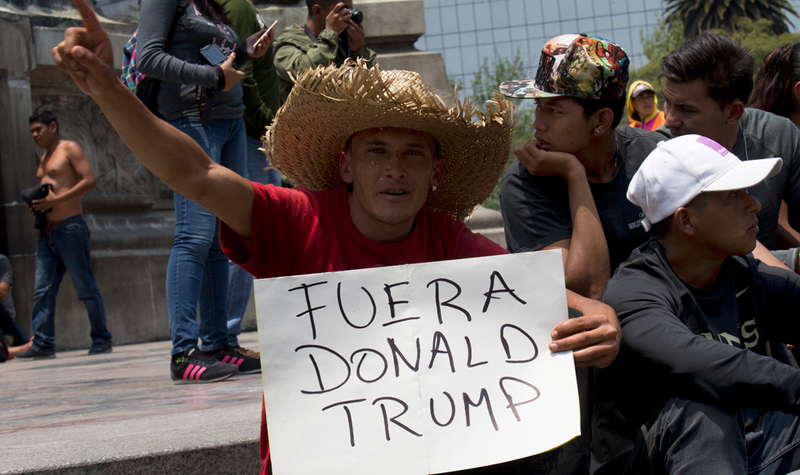 As the “caravan,” originally consisting of about a thousand people, moved through Mexico, staying overnight at shelters provided by sympathetic Mexican organizations, some of its members decided that they would ask asylum from Mexican rather than U.S. authorities, and these requests are being processed. So the group that eventually arrived at the San Ysidro border crossing numbered only a few hundred people. As of May 3, caravan organizers said that just 158 participants had crossed into the U.S. to ask to be admitted through the available legal process. The entire group that had been waiting at the border, a total of 228 people, had crossed over by Friday, May 4. Interviewed at the border by the U.S., Mexican, and international press, some of the refugee parents expressed great fear that U.S. authorities would punish them for their asylum requests by separating them from their minor children for long periods of time. This is a new practice under the Trump administration, designed to “deter” families from seeking legal refuge, essentially by torturing both the parents and the children. This fear may have deterred some from asking for asylum in the U.S.
What’s driving people from Honduras? And what are the people from Honduras, now threatened by the end of TPS protection, fleeing from? Honduras is, indeed, one of the poorest countries in the hemisphere, but there is more to the issue than mere poverty. In June of 2009, the leftish, reform-oriented president of Honduras, Manuel Zelaya, was overthrown in a military coup, which very likely had been organized with the support and material help of elements in the U.S. Zelaya had introduced some progressive measures in Honduras, including land and labor reform, and had not cooperated with U.S. efforts to isolate the left-wing governments of Cuba and Venezuela. In fact, Honduras under Zelaya was a member country of the left-led Bolivarian Alliance for the Peoples of our America, or ALBA. Ex-President Zelaya, now back in Honduras and a member of the country’s national legislature, is convinced that his bringing Honduras into ALBA is the reason the U.S. wanted him ousted. The ensuing post-coup election took place with the army and police in the streets repressing the pro-Zelaya opposition; in turn, most of the opposition boycotted the vote. The result was the election of right-winger Porfirio Lobo, currently under investigation for ties to the international narcotics trade. 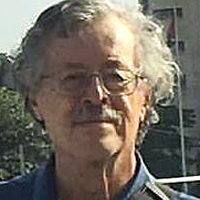 In 2014, Lobo was succeeded by his fellow National Party member, the current president, Juan Orlando Hernández, also in a highly dubious election. And last year, the re-election of Hernández, in what seems to have been a blatant violation of Honduran term limits law, was so shady that even establishment groups like the Organization of American States refused to endorse the validity of the vote. Ever since the coup that ousted Zelaya, things have gone from bad to worse for Honduras’ poor majority. Inequality has increased, as has the violence directed at people seen as being in the way of the economic interests that run the country. Groups of indigenous, Afro-Honduran, and other rural people, including environmental defenders, who oppose the devastating effects of mining and other extractive industries, are targeted for prosecution and long jail terms, physical threats, violence, and murder. Freedom of the press hangs on by a thread with similar threats and attacks against journalists. Transgender and other LGBTQ people are particularly targeted for murder. And protests against the fraudulent 2017 elections have been met with a vicious crackdown by militarized, U.S.-funded security forces, with at least 36 protesters killed and many more in jail. This rhetoric emanating from on high finds not just an echo, but an amplification among organizations of the far right in the U.S. There is talk of reviving the “Minuteman” organization, and some right-wingers even accuse Trump of being weak for not taking even harsher steps, including jailing all the refugees, in open defiance of international law. Conspiracy theories abound, dipping into anti-Semitism, with some featuring the sinister figure of George Soros as being somehow behind the movement of refugees. Trump, Sessions, and Nielsen have access to the same information about the causes of immigration from Honduras and similar countries that independent experts have. They are certainly aware, also, that the racist stereotyping of migrants as rapists, drug dealer,s and criminals is based on lies. On the issue of the migrant caravans, they are also aware of the composition of the groups, their numbers, and their purposes in coming here. So why do they keep putting out this misinformation? They are not ignorant so much as cynical. Stoking voters’ fears about invasions by dark-skinned foreigners is part of the right wings’ bag of tricks in this election year, as in so many years and countries in the past. That is an even bigger danger than any refugee caravan.